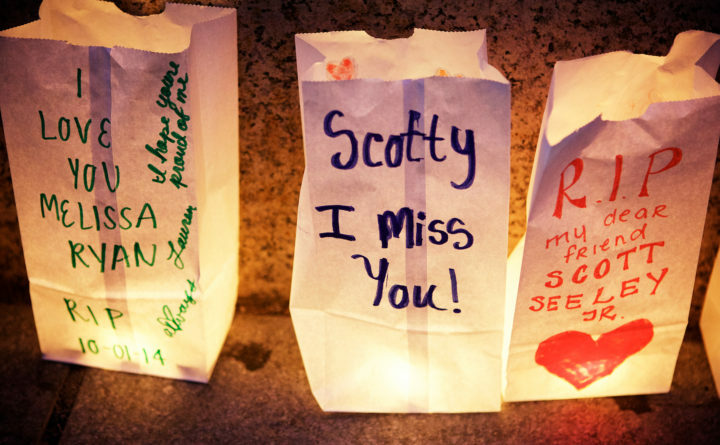 Lighted paper bags stand as memorials to those lost at a drug overdose victims’ vigil in Portland’s Monument Square in 2015. Good morning from Augusta. Gov. Janet Mills has finished nominating commissioners and is moving on to hire advisers to fulfill key campaign promises — fighting the opioid epidemic that and improving relations with Maine’s Indian tribes. The Democratic governor will introduce the person who will lead her administration’s response to opiate addiction on Thursday morning. In 2017, fentanyl and heroin drove Maine’s overdose death total to 417 and 952 babies out of the state’s 13,000 births — or about 7 percent — were born dependent on opiates or other drugs. Mills campaigned on a plan to fight the opioid crisis. Her description of the position hasn’t gone much beyond that, but she has so far shown a penchant for giving people in new positions — such as her soon-to-be-rebranded policy office — the authority to work across departments to provide uniform policy responses. Mills will introduce the new director and outline their job at Thursday morning news conference. On Wednesday, Mills appointed a well-known former Penobscot tribal representative as her senior adviser on tribal affairs. Donna Loring, 70, of Bradley, a former Penobscot Nation police chief and tribal representative will be the liaison between Mills’ office and the state’s four federally recognized tribes — the Passamaquoddy, Penobscot, Maliseet and Micmac tribes. Her job will include advising the governor on tribal-related matters. Tribal relations with the state have long been strained. The landmark Maine Indian Claims Settlement Act of 1980 — in which the Passamaquoddy and Penobscot people gave up claims to Maine land in exchange for $81.5 million — has increasingly been seen as unfair by tribes. Those two tribes pulled their non-voting representatives from the Legislature in 2015, four months after then-Gov. Paul LePage rescinded an executive order promising to include tribes in discussion over decisions that affected them. Mills was criticized by tribes and progressives early in her primary campaign for her role as attorney general in a court fight over water rights. Because of conflicts over sovereignty, casinos, fishing, land and water rights, among other things, the tribes’ relations with state government have been strained for decades, regardless of which party controlled the Blaine House, so that pathway will likely be a long one.